Do you recognize yourself when you look in the mirror? Do you rely on mirrors for a sense of self, or does that come through actions; given that looks so often obfuscate the truth? Do you seek perfection in amongst the Photoshops of popular culture, preferring to project yourself onto more mesmerizing paradigms of perfection, than the face that meets you in the bathroom mirror time and time again? Well good! Why not aspire to be a better version, why not seek perfection of self; in a successful, beautiful and ideally extroverted individual. Or maybe not, just create a bubble of denial and live in bliss amongst a society that is progressively celebrating the narcissist, if it’s not grossly misusing the term that is. Why not ‘like’ being liked, or just fain social ineptitude whilst orating that fact in the crowded rooms of social media or perhaps on the YouTube? What is the difference between the person you see in a photo and the one in the mirror anyway, who knows, do you, I don’t? Do you roll your eyes at the selfie, cheesy, clichéd and for teenagers? Why judge, when you so often check your reflection in a car window without a second glance. An augmented and marvelous self-image is in fact a crucial component, when hoping to survive in societies rear view mirror. Maybe flattering angled selfies are not that stupid, maybe whatever is necessary to keep self-esteem up is a brilliant idea and ‘fun’ at the same time. For, after all, the longer we look at ourselves the funnier the process becomes. …Well, it’s me of course, what a ridiculous question. Offers you a comfortable space to enjoy the very special and intimate moment of selfie. Enjoy our ‘selfie corner’, take some ‘stupid’ selfies (ask for further details) and print them out or post on Instagram/ Twitter or Facebook with hashtag #selfieteria. In Selfieteria browse portfolios of our artists and order a portrait for your loved ones (including yourself). 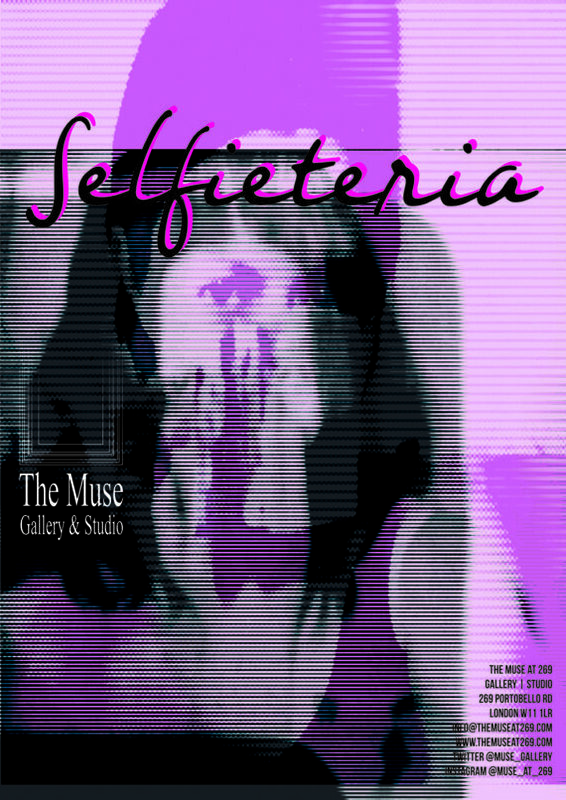 Selfieteria serves you a special moment to contemplate yourself and befriend yourself without any social pressure to be perfect.